Media mogul Rupert Murdoch has dropped News Corporation's $12-billion bid to buy out the multi-billion dollar broadcaster BSkyB after unprecedented pressure from the UK parliament and Prime Minister David Cameron. 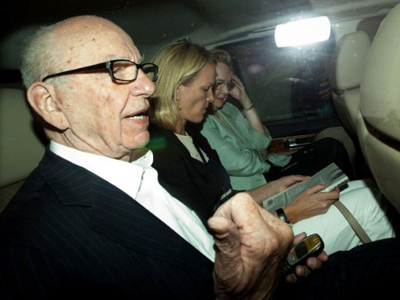 ­Rupert Murdoch’s News Corporation had hoped to gain control of the 61 per cent it does not already own of the British TV broadcaster BSkyB. The decision to pull the bid came just a few hours before the British parliament was set to vote on the resolution, supported by ruling and opposition parties, calling on Murdoch to withdraw his bid for BSkyB. David Cameron's office has welcomed the news. Earlier on Wednesday, the British Prime Minister called on the media mogul to drop his buyout plans for the country's largest cable TV broadcaster and sort out the mess in his company. At a weekly question session at the Commons, Cameron called for an investigation into the scandal. 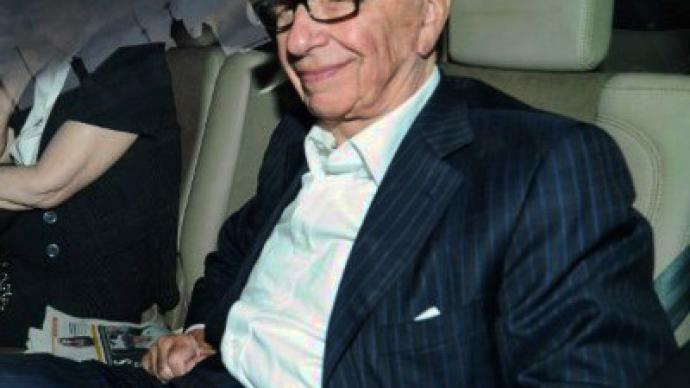 He promised to deprive Murdoch of his media assets, if he finds out that the mogul himself was involved in telephone-hacking. Cameron appointed Lord Justice Brian Leveson to lead the inquiry. He himself is ready to be a witness in the case. "The people involved … however high or low they go must not only be brought to justice, they must also have no future role in the running of a media company in our country," Cameron said. Meanwhile, the first arrests have been made over the scandal. Police have arrested eight people in their investigation, including Cameron's former communications director Andy Coulson, a former editor of News of the World. No one has been charged as yet. Cameron himself faces harsh criticism for hiring Coulson to be his head media adviser. Ed Miliband, the leader of the main opposition Labour Party, said Cameron's decision to hire Coulson was "a catastrophic error of judgment." Amid the scandal, Tom Crone, the legal manager at Rupert Murdoch's UK newspaper arm, has left the company after 26 years of service. It is not yet clear whether he resigned or was told to quit. ­Paul Lashmar, an investigative journalist and head of journalism at Brunel University, thinks that the scandal poses a great threat to David Cameron. ­Investigative journalist Tony Gosling says David Cameron is now just trying to spread the blame. ­The scandal has crossed the Atlantic as US Senator Jay Rockefeller, a Democrat from West Virginia, suspects 9/11 victims could have been targeted and that journalists working for News Corp have broken US law. “If they did, the consequences will be severe,” said Rockefeller. Under the Foreign Corrupt Practices Act it is a crime for an American-linked company to bribe foreign officials to get or keep business. Cameron has also called for an investigation into allegations that victims of 9/11 were targeted by reporters. 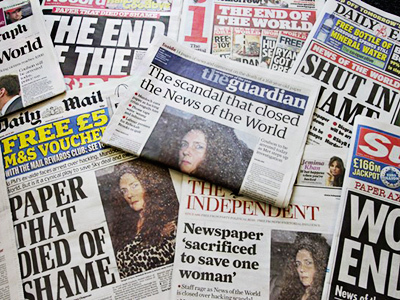 The new twist of the phone hacking scandal sparked public outrage last week when the News of the World tabloid was suspected of hacking the voice mail of a 13-year-old girl who was abducted and later killed. 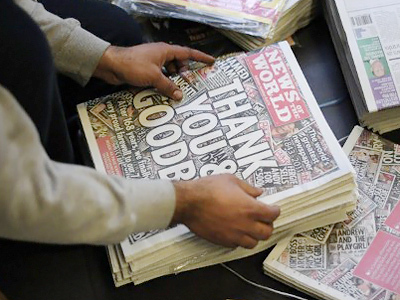 In response, Murdoch shut down the 168-year-old paper and arrived in London for emergency talks to solve the crisis around his media empire. The News of the World is not the only News Corporation paper facing such allegations. 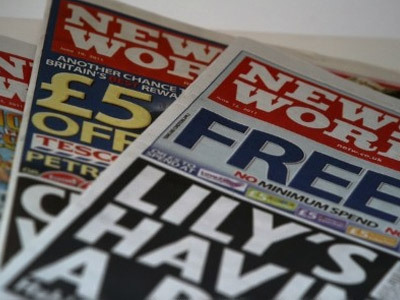 On Tuesday, former British Prime Minister Gordon Brown accused another two of the company’s newspapers of obtaining his and his family’s personal information, allegedly through illegal means.